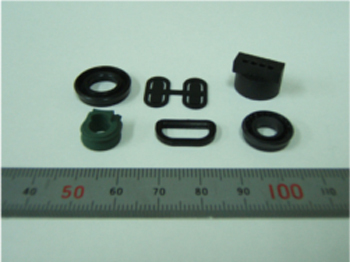 There are many products of rubber　alone, but many of our products are parts for sealing. Sealing parts have a very important role, because they are required to have airtightness. 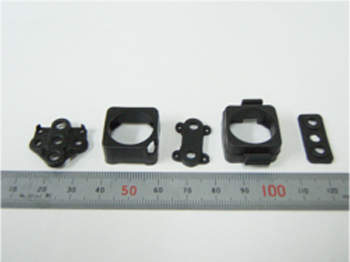 For that reason, we reduce defect of the sealing surface by using a vacuum press molding machine. Rubber itself is very deep in characteristics, therefore, even though its shape is the same, or its polymer is the same, its functionality varies greatly depending on rubber compounding (mixing several chemicals). We also carry out blending design at our own company, and it is also possible to provide dedicated rubber material suitable for each customer's use. 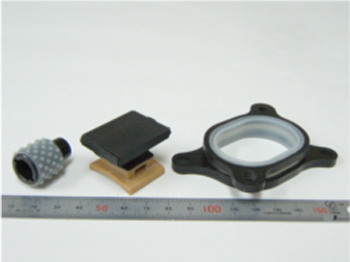 LF rubber can greatly lower the frictional resistance of rubber surface while securing rubber elasticity. 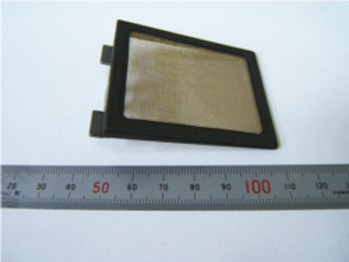 There is no worry of "peeling off" since the surface is not coated. It bleeds from the inside, so It can be restored with time even if it comes off. ※※Because the restoration time varies depending on the usage environment, please try in your environment. 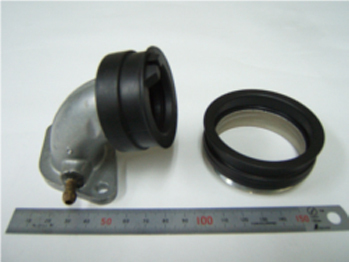 The duckbill valve is a valve that suppresses flow in one composed direction, and it is used in various situations such as automobile, medical treatment, water circulation including shower, and so on. 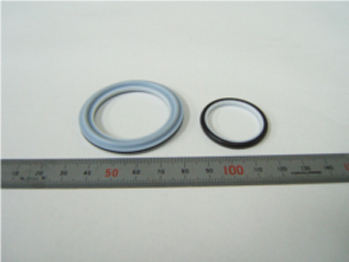 Our seals and diaphragms are widely used in various industries such as automobiles, motorcycles, pneumatic components, electronic equipment, optical equipment, gas equipment, sanitary plants and so on. It is possible to compound rubber with other materials. Composite is conducted with indirect bonding method (vulcanized adhesive), which compounds the materials inside the mold. Composite of rubber and multiple materials is also possible. Rubber can be compounded with various materials such as iron (S45C, SPCC, etc. ), aluminum alloy, brass, SUS, PTFE, phenolic resin, PPE, PA, PPS and so on. In particular, we handle composite of conflicting materials such as thermosetting rubber and thermoplastic resin. We promise to realize your ideals. 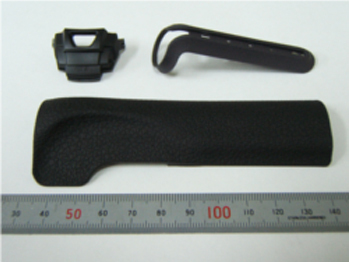 We support product design by analyzing rubber displacement, stress, etc. with computer after applying load, pressure, heat to rubber.